Mon: 1:00 p.m. – 3:00 p.m.
Tue: 1:00 p.m. – 5:00 p.m.
Mon + Thu: 9:00 a.m. – 12:00 p.m. 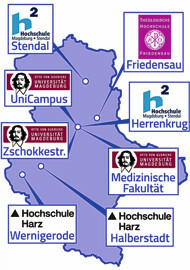 The counseling office of the Studentenwerk in Wernigerode is located right at the green campus of the Harz University. 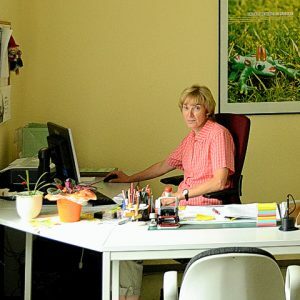 Mrs. Bischof is available on-site for councelling, information and help about studies. During the semester, the head of the Department of the Office for Educational Support (BAföG office) also holds consultation hours on a regular basis.